Velvet was once among the most coveted fabrics in the world, but now only one family in Italy produces it the traditional way – and can trace its textile tradition back to 1499. 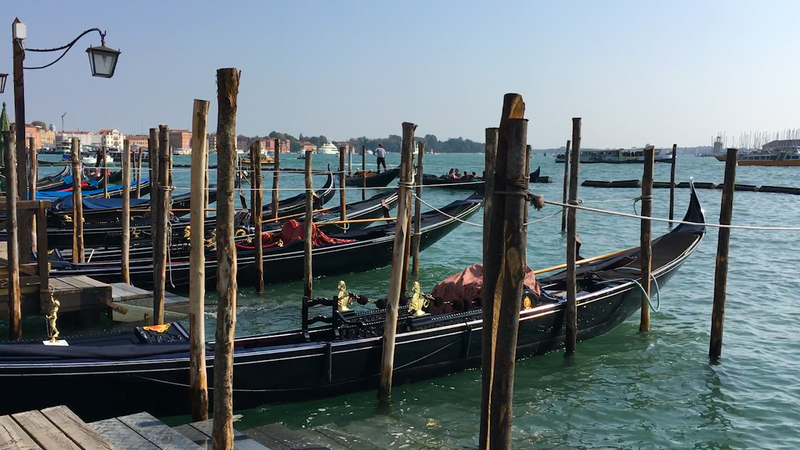 With its water-lapped palaces, canal-laced islands and golden basilicas rising from the tides, Venice is a floating masterpiece of creativity and craftsmanship. A metropolis of marble conceived from a cluster of mudflats, the City of Water’s fairy-tale setting has inspired centuries of artists and inventors. But while Venice’s urban fabric has always shaped the city, its fine fabrics once spun the fashion world. From the 13th to 18th Centuries, Venice was the epicentre of the luxury textile trade, and no fabric from the maritime republic was more coveted than velvet. At the height of the industry in the 1500s, the clacking of 6,000 wooden looms echoed throughout the Venetian lagoon as the city’s Guild of Silk Weavers slowly wove velvet from thousands of silk threads to supply sumptuous patterned garments to the highest rung of Renaissance nobility. Today, there's only one company left in Venice – and all of Italy – producing velvet on traditional wooden looms: the Luigi Bevilacqua Company, a small, family-run business that can trace its velvet-weaving lineage back to 1499. And if you follow the rhythmic clattering to a windowless workshop hidden off the Grand Canal, you’ll find a team of loyal weavers single-handedly preserving the secrets of Venetian velvet from sinking into oblivion. Like the city that holds it, the Bevilacqua workshop is adrift in a world of its own place and time, and entering the dusty studio feels like stepping inside the ghost of a medieval mill. Some 3,500 designs and weave drafts dating from the Middle Ages to the 1920s sit stacked floor-to-ceiling. A maze of ropes and rigging criss-crosses 18 towering looms from the 1700s. And two ancient circular warps inspired by sketches from Leonardo da Vinci shake the creaky wooden floor with each hand-cranked turn. Alberto’s great-grandfather, Luigi, opened the workshop in 1875 across the Grand Canal, and today, it is the oldest active velvet-weaving mill in Italy. Yet, the family’s textile traditions trace back more than 500 years, as evidenced by a 1499 painting showing a parade of Venetian aristocracy in flowing velvet togas with the inscription: ‘Giacomo Bevilacqua, weaver’. Since then, the intricate techniques and patterns of Venetian velvet have been passed down through a remarkable thread of artists in the Bevilacqua family – each of whom has guarded them tightly before revealing them to a trusted team of weavers trained in the family workshop. In the past 143 years, the family business has woven velvet for popes, kings and more than a dozen royal palaces. Its yellow-patterned velvet hangs in the White House’s Oval Office, its crimson ciselé covers chairs in the Kremlin, and it was an official supplier to the Vatican for decades. In fact, looking at the faded entries from the company’s water-stained ledger books is a glimpse into a rarefied world: there are commissions from the Shah of Iran, the Sheik of Kuwait and six members of the Swedish royal family. Egypt’s King Farouk ordered a kilometre of green velvet; composer Gordon Getty’s wife wanted her living room to resemble a velvet-wrapped theatre; and the Maharajah of Gwalior requested an embroidery of his coat of arms showing two raised pythons. Royal patrons have come and gone over the years, but the company still uses the same ancient looms that Luigi Bevilacqua salvaged from the city’s abandoned silk guild decades after Napoleon conquered Venice and closed its mills in 1806. 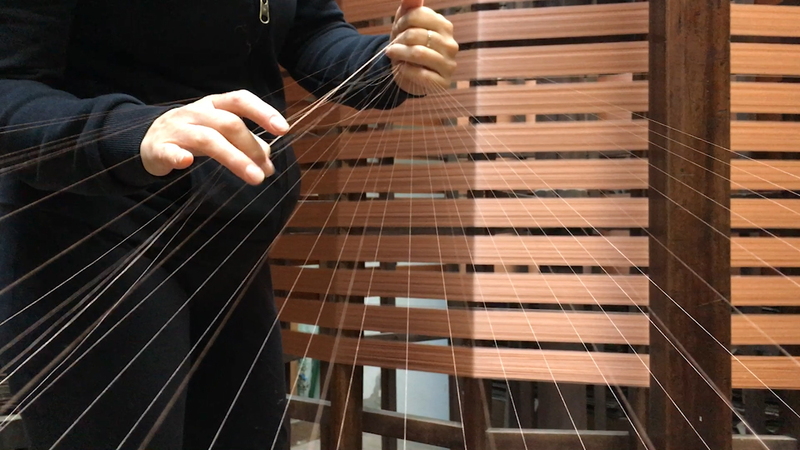 Just then, a rhythmic cacophony of clacking rang through the studio as weaver Silvia Longo pulled the levers of her antique loom to life. With each pass of the beam and step on the treadle, a tiny sliver of vermillion velvet destined for the Royal Palace in Dresden gradually expanded under her fingers. She explained that each weaver can only produce about 25cm of fabric a day, and that she and two other weavers have been working on the 740m design every day for the last three years. The secret of Venetian velvet is its sheer complexity. It has always been so desirable because it has always been so difficult to produce,” said Doretta Davanzo Poli, textile professor at Venice’s Ca’ Foscari University. Venice was importing silk from the Byzantines before Marco Polo’s journeys east, but it was the arrival of 300 asylum-seeking weavers from Lucca in the 1300s who taught the Venetians how to loop, warp and cut silky-smooth threads into a dense, velvety pile. 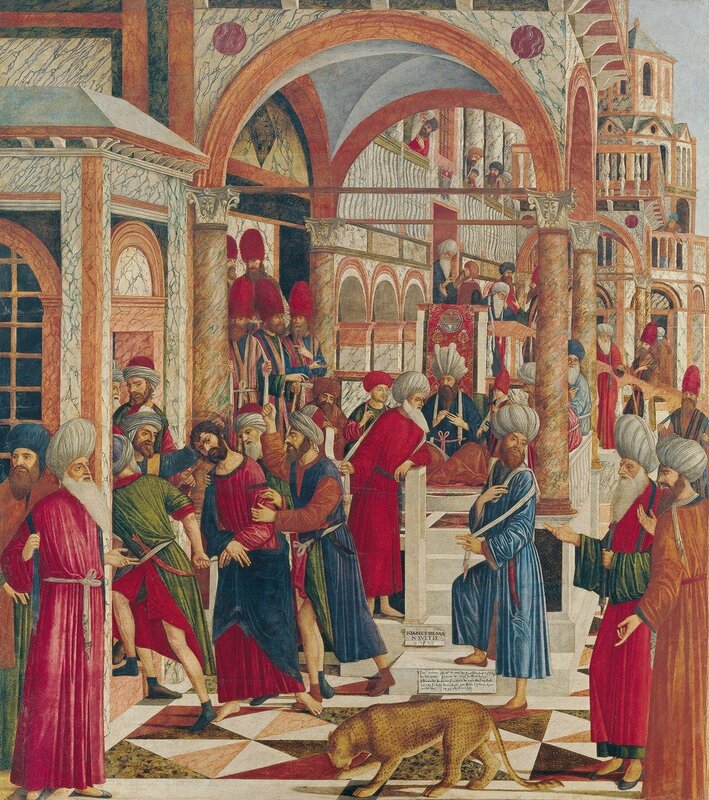 The Lucchesi learned the skills by trading with Asian merchants, and the newly settled artists quickly established the Republic of Venice’s Guild of Velvet Weavers in 1347. By the 1500s, records show that more than 30,000 of Venice’s residents (roughly one-fifth its population) worked in the silk and velvet trades. The velvets, silks and damasks spilling out of the Bevilacqua showroom not only plunge visitors back to the days when Venice was a gateway between East and West, but also testify to the city’s rich tapestry of trading partners. There are patterned swathes showing winged Persian lions, tasselled cushions emblazoned with bare-breasted Greek sirens and draped silk brocades woven with Chinese lettering. And, as a way to ensure their sartorial reign, the Venetians did something crafty: they developed ways to decorate and produce velvet that were so intricate that no-one else could replicate it. Around the time Giacomo Bevilacqua started his velvet business in the late 1400s, Venice’s velvet guilds began weaving with an elevated sense of sophistication. Gilded backgrounds appeared. Glittering metals were woven around silk threads. And the height of Venetian velvet artistry emerged: the soprarizzo, a double-pile technique that’s still slowly produced by the Bevilacqua weavers, in which one layer of cut velvet that absorbs light lays atop a lighter curl that reflects it, creating an undulating texture that ripples like water as your hand passes over it. Venice jealously guarded the secrets of its soprarizzo– so much so, according to Molà, that the most skilled weavers were prohibited from leaving the republic for fear that they’d share the technique with rival manufacturers. As Venice’s many guilds expanded, the city developed an innovative idea in 1474 to protect its glass, jewellery and – above all – textile profits: it created patent law. Venice changed the way societies thought about clothing. Textiles were no longer something people wore every day for practical reasons, but as a brief choreography to represent the wealth of the family. Consumerism became fashionable,” said Chiara Squarcina, curator of Venice’s Mocenigo Palace of Textiles and Costumes. While velvet spun Venice’s textile trade to new heights, it also emerged as a symbol of power, wealth and taste. The lavish threads lined the halls of the city’s grandest palaces and richest churches, and paintings portraying Venetian nobility by local artists like Titian and Tintoretto reveal its role in shaping one’s image. Kings and popes wrapped velvet under their crowns, senators and cardinals wore crimson-velvet robes or sashes, and noblewomen walked on velvet-encased high heels. By the time Napoleon sailed in in 1797, Venice’s velvet mills were already on their last legs. The little leader closed the city’s guilds to reduce competition with France, and the lagoon’s looms lay silent and unused until Luigi Bevilacqua dusted them off decades later. At the start of the 1900s, nearly 100 weavers worked at the Luigi Bevilacqua Company. Girls as young as 12 would come into the workshop to help their mothers change the threads or lay the spools. After a six- to eight-year apprenticeship, they’d become weavers by age 20 and often stay until they retired. Today, there are just seven weavers, and looking at the rows of idle looms, Bevilacqua admitted that it has become harder to find artists with the passion and patience for the craft. As in the past, the seven weavers each began as apprentices, training under experts who had worked at the company for 40 to 50 years. Novices may spend a year winding warps and punching Jacquard cards before moving to the lightest looms, which, as Longo explained, take some getting used to. All Bevilacqua velvets start as a design, and the evolution from initial pattern to finished product is a painstaking process. Weavers begin by hand-drawing the design on a millimetre grid. Every half-millimetre of the grid represents a cardboard Jacquard card that is punched through with a hammer, and every punched hole in the cards corresponds to a thread. If a design has a repeat of 1.5m, it requires 3,000 cards. After weavers tie the cards together one by one and hoist them atop the loom, the real work begins. Next, the loom is prepared. Depending on the size and complexity of the pattern, this may take up to six months and involve knotting a thicket of 16,000 threads by hand. Weavers start by spinning the vertical warp while counting and crossing the threads with their fingers. Once the vertical warp is wound, they transfer it to the horizontal warp and hand-crank it into place. It’s then wound onto a warp beam, carried to the loom and slowly laid using a special adhesive to keep the slippery silk threads in place. Finally, the manual weaving begins. Hidden under every complex soprarizzo cut are two iron rods – one rounded, and one ridged – that must be moved as the velvet expands. 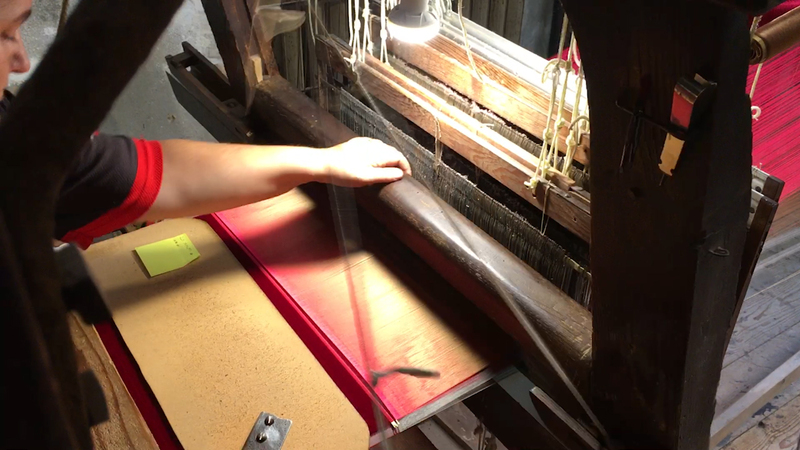 With each pull of the beam, weavers carefully slide a blade over the ridged rod to cut the microscopic silk threads from the top layer, while leaving the bottom layer in a perfectly curved loop that glistens in the light. It’s a beautiful job that enters your heart. You have these tiny threads and you can do incredible things with them,” said Longo, who has been weaving at the company for 19 years. In addition to dressing popes and decorating opera houses, the Bevilacqua family’s hand-operated looms have been behind some of the world’s finest haute couture over the last 60 years. For decades, designer Roberta di Camerino used Bevilacqua velvets to line her handbags that were carried by celebrities like Grace Kelly, Elizabeth Taylor and Farrah Fawcett. Fashion icon Iris Apfel used to stop by the workshop regularly to order tiger- and leopard-cut velvets for her New York apartment. And in the last two decades, the company has collaborated with Valentino, Rubeus Milano and Dolce & Gabbana – which once clad supermodel Gisele Bündchen in a bra embroidered with Byzantine lions as she glided down the catwalk. Today, the 3,500 archival designs stacked on the workshop’s warped floorboards are all still available, but many are no longer produced in-house. Like Venice itself, the Bevilacqua company has had to adapt in order to stay afloat in a changing world, and the family now owns a second factory on the mainland where some of its archaic patterns are woven by modern machines. Bevilacqua explained that many of his long-time clients can no longer afford the high costs of hand production, and that the 6m a machine makes in one day would take a weaver a full month and cost four times as much. Yet, the secrets of the soprarizzo are something that no machine can learn, and after five centuries of craftsmanship, Bevilacqua sees it as his family’s duty to ensure that this ancient Venetian thread doesn’t unravel.